I’m a total sucker for marketing ebooks, having downloaded my fair share of corkers (and stinkers) in my time. There’s definitely something to be said for the format of the ebook given the propensity for fast paced change in the field of digital marketing. Additionally, the absence of lengthy lead in times for publishing means the content can be completely ‘up to the minute’, and this combined with low production costs, and no minimum runs makes it the format of choice for many writers looking to launch their content upon the world. The first thing that I noticed was Doc’s altruistic tendencies, offering the book for free to those who donated cash to a registered charity. Awww. As fate would have it Ewan Macgregor’s mug on the TV had just moved me enough to make an ongoing donation to Unicef, you can do the same thing here. The book takes what is essentially a Q&A format, posing a total of 14 SEO related questions to 31 well known (by most I guess) search marketing professionals, including Garrett French, Alan Bleiweiss, Rand Fishkin, Bill Slawski, Joshua Titsworth, Danny Sullivan, Debra Mastaler, Ian Lurie, as well as our very own State of Search blogger Barry Adams. Doc provides a personal vignette as an intro to each question, his writing style is relaxed, informal (playful even) and very accessible. 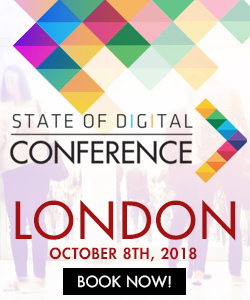 What do you believe to be the greatest challenge facing SEOs today? If you could mandate just one change to the dynamics of search ranking, what would that change be? 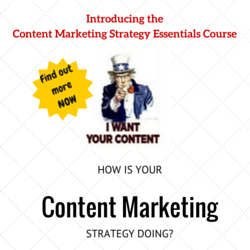 What is the one aspect of internet marketing that you feel is most counter-productive? What is the one aspect of internet marketing that you feel yields the greatest results? If you could follow one single source of information pertaining to your internet work, which would it be, and why? What dramatic changes do you foresee in the next year or two in the way webpages are optimized / ranked? Why do you see this is probable? What tools, if any, do you use regularly in your work? What tool do you wish existed to use in your work? For you, what is the most valuable conference to follow / attend, and why? Did (or do) you have a mentor that has shaped your outlook or approach to the business? If you had to do it all over again, would you still enter your present field? If you were mentoring a young up-and-coming person in your field, what would be the three most important lessons you would wish to impart to them? What do you feel is the most reliable source of information pertaining to your field? How do you suggest readers differentiate between good and bad advice? With my own personal interest in mentoring and the mentoring process, the focus on this area through several of the questions was particularly illuminating. The need to nurture talent was mentioned by many, for some this was because of their experience of a dearth of appropriately experienced job applicants, and for others who believed that only though educating, teaching and mentoring can the “stain on the name of internet marketing” be banished. For a newbie and intermediate SEO, herein lie nuggets of wisdom that would take many hours of online trawling to unearth, if in fact they could be found at all. With so many SEO’s still learning their craft in the absence of a formal qualification or procedure for learning and development, reading the responses of so many seasoned and experienced SEO’s (particularly to question 5 and 13) really is a godsend on many levels. Having just had the rather cathartic experience of paring down my own RSS feed based on an analysis of which sites and authors were regularly offering up content of note, reading the answers served to repopulate my slimmed down reading list. Joy. As you’d expect in our industry and given the breadth of experience and niches of the contributors, there are in many cases much dissension in the responses. But what was striking for me were the recurring themes, such as the role of and relative importance of links and social metrics in SEO, and a clear focus on the benefits of content marketing and considering the content requirements of key existing and prospective target audiences. The e-book weighs in at 180 pages, 112 of which are the ‘question and answer’ section. With 14 respondents answering each question in turn there is some repetition of content within and between the different questions posed. Doc rightly points out that each reader will of course decide on their own key learning points from the book – but provides a handy ‘takeaway’ section in Chapter 16. I read the ebook with a cup of tea (and a slice of cake, of course) in one sitting. The book length isn’t excessive, but bear in mind you’ll need to apply some of your own ‘critical thinking’ to the content – sifting through the responses to the questions, finding similarities, identifying opposing viewpoints, and considering the evidence upon which the responses of these seminal SEO’s are based. 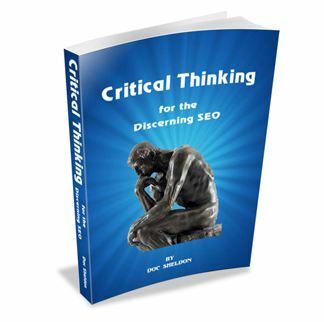 Next step – download Doc Sheldon’s Critical Thinking for the Discerning SEO and read for yourself the juicy responses to these SEO questions of our time. If you were Doc, are there any other questions you’d have posed?